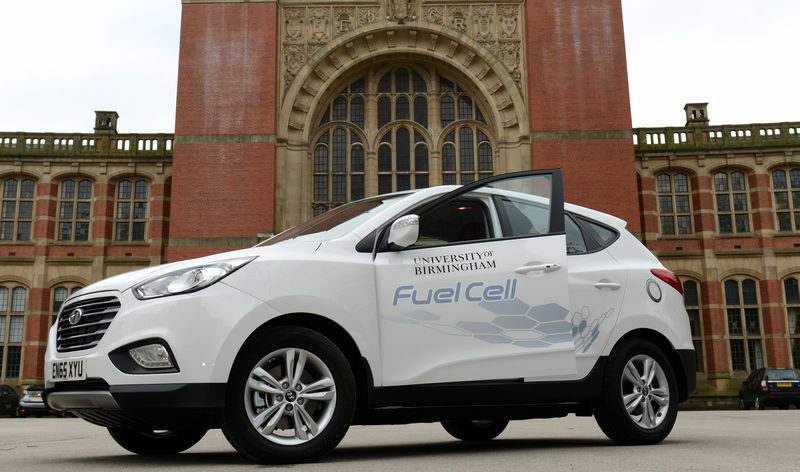 Turning scientific research into reality, the University of Birmingham is leading the way in greener vehicles, fuel technology and everyday sustainable travel options resulting in one of the most sustainable fleets in the country. Our academics and operational staff have joined forces to embed and encourage alternative fuelled vehicles, which are now the natural choice for travel procedures meaning that 19% of the fleet are no longer using conventional fuels but a mixture of hydrogen fuel cell, electric and hybrid engines. Through improved infrastructure and salary sacrifices schemes, staff are also encouraged and supported to buy their own greener vehicles as part of the University’s Green Travel Plan to increase the usage of sustainable methods of transport across Birmingham. 3 Providing staff with access to information about alternate fuel vehicles, offering salary schemes and having infrastructure on campus to support those vehicles, we’ve seen a cultural change in staff behaviour and interest in sustainable fuel vehicles.